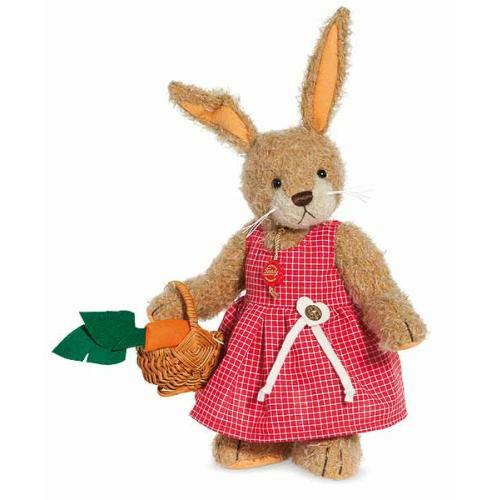 Teddy Hermann Mother Rabbit, fully jointed and made of the finest beige mohair. Limited edition of only 300 pieces worldwide. 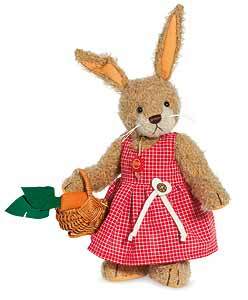 Item number 101239, safety eyes, synthetic filling material, non growler, total size 31cm tall.